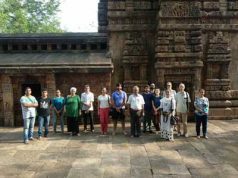 Kaniha: World Water Day was observed at Talcher Kaniha on 22.03.2018. 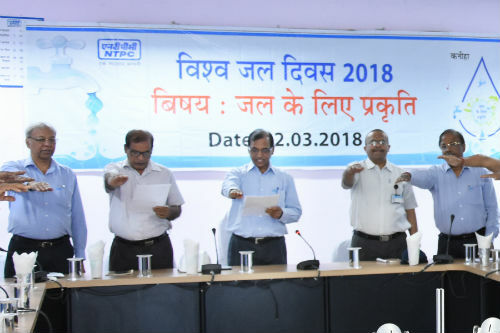 On this occasion, the pledge was administered by Shri Ram Kuber, Executive Director to the employees of the station. World Water Day is an annual observance day which is held on March 22 every year to highlight the importance of freshwater. It is also used to advocate for the sustainable management of freshwater resources. The theme for 2018 is “Nature for Water” to encourage people to “look for the answer in nature”. For example, nature-based solutions could be implemented to reduce floods, droughts and water pollution and to protect ecosystems. As an observance of the world water day, slogan competitions in Odia, English and Hindi amongst employees, CISF & associates with the intent of water conservation and management is being conducted.